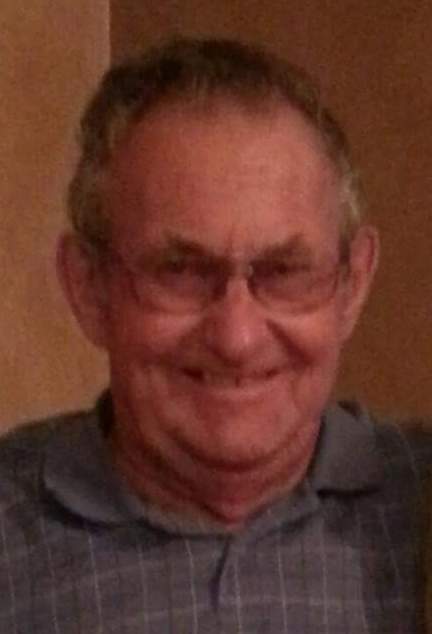 Ronald Dean Mercer, 79, of Gothenburg, Nebraska, died July 6, 2018 at home in Gothenburg after a courageous battle with cancer. He was born July 8, 1938 in North Platte, NE, son of Clarence and Florence (Johnson) Mercer. He lived in several towns in Nebraska which include: Brady, Cozad, Central City, and Gothenburg. He also lived in Longmont, CO and Phoenix, AZ. Ron graduated from Brady High School in 1956. He worked as a truck driver and a mechanic. Ron had four children; daughter, Shaun Stevens, and three sons, Ryan Mercer, Duane Mercer, and Steve Mercer. He liked playing cards and shooting pool. Ronald also enjoyed playing with his grandkids and drinking coffee with friends and family. He had 25 grandchildren, 30 great-grandchildren, and one great-great-grandchildren. Surviving are daughter, Shaun (James) Stevens of Gothenburg, NE, son, Steve (Mellany) Mercer of Gothenburg, NE, son, Duane (Terri) Mercer of Cozad, NE, son, Ryan (Sarah) Mercer, sister, Lea (Larry) Irvine of Grand Island, NE, and sister, Judy (Earl) Essex of Moses Lake, WA. Ronald was preceded in death by his parents, Clarence and Florence, his sisters, Delores and Norma, his brother, Duane, and three infant brothers. Visitation will be held at Blase-Strauser Memorial Chapel, Gothenburg, NE; Monday, July 9, 2018, 1:00 pm - 7:00 pm with the family present from 5:00-7:00 pm. Funeral Services will be held at Victory Assembly of God, Tuesday, July 10, 2018 at 10:00 am with Pastor Mark Borchardt officiating. Interment will follow in the Gaslin Cemetery, Brady, NE. Memorials may be given to the Victory Assembly Church or Guardians of the Children, Flatrock Chapter.